Brandon's practice focuses primarily on medical negligence, wrongful death and personal injury litigation. A mainstay of his education, experience and career has been a concentration on litigation. While in law school, he clerked with the United States Attorney's Office, helping to bring civil lawsuits against individuals and businesses defrauding the government. 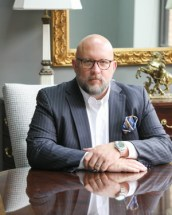 Since law school, he has handled hundreds of personal injury cases and works closely with Jim Webb in the areas of medical and professional negligence and personal injury. Currently a Professor of Litigation at Georgia State University College of Law. See article 'Mid Trail Settlement Halts Med-Mal Case'. Prior to law school, Brandon represented over 150 Georgia cities and counties, negotiating telecommunications and cable franchise agreements and advising municipalities and counties on rights-of-way management and policy. He lives within golf-cart-distance of the Firm's office in Peachtree City and is the Firm's Managing Partner.